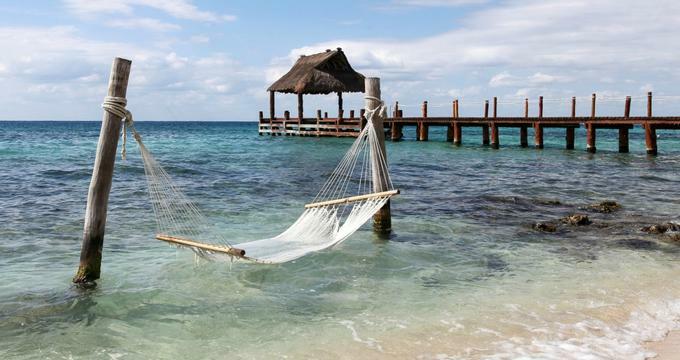 One of the largest Mexican islands, Cozumel has long been a beloved tourist destination because of its beautiful undeveloped beaches and the excellent diving and snorkeling that can be done in the surrounding Caribbean waters. Visitors can swim with stingrays or dolphins, sample some of the delicious food and beverages that the island has to offer, or visit an archaeological site to learn about traditional Mayan culture. 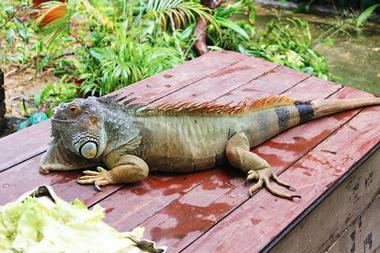 The largest ecological reserve on the island, Punta Sur Eco Beach Park is home to a variety of flora and fauna, including crocodiles, beautiful flowers, and exotic birds. The park boasts a beautiful beach with showers, hammocks, lounge chairs, and a lifeguard to ensure the safety of everyone in the water. Visitors can also climb to the top of the historic Celarain Lighthouse, which offers wonderful panoramic views of the ocean and the island. Ample free parking is available, and there are several restaurants and snack bars to ensure that visitors don't go hungry. One of the top attractions on the island, Chankanaab Beach Adventure Park is located only 10 minutes away from the cruise ship terminal. There is plenty to see and do here, but highlights include snorkeling in the colorful reef, interacting with manatees and sea lions, and lounging under the umbrellas or in the hammocks on the beautiful beach. Visitors can also swim with dolphins, but this activity is quite popular, and advance reservations are recommended. 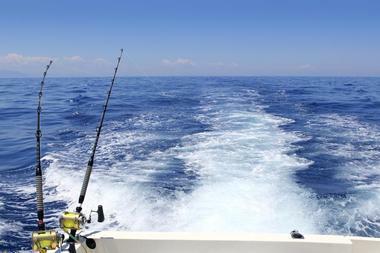 It's easily possible spend an entire day in the park, which is open Monday through Saturday between 8 a.m. and 4 p.m.
Family owned and operated, Chichi Charters specializes in private charters perfectly tailored to their clients' wishes. A wide variety of activities are available, including snorkeling, deep sea fishing, bottom fishing sunset tours, and SCUBA diving. The boats can accommodate a maximum of between six and 18 people, and they all have Marine Park Permits so that you can visit the beautiful protected reefs around the island. A minimum $100 deposit is required, and credit cards can only be used when you book your trip as the company does not have a credit card machine at the marina. The Kaokao Chocolate Factory has been creating handcrafted Mexican chocolate products since 2007, and the Chocolates Kaokao Factory Tour allows visitors to witness this amazing process up close. Visitors will learn about the history of chocolate in Mexico, plus they have the opportunity to craft their own chocolate drinking mix. Visitors also get to sample the cacao during all the different stages of the chocolate-making process. Tours last approximately one hour and are offered every hour on the hour between 9 a.m. and 2 p.m. every day except Sunday. Online reservations are required, and group discounts are available for groups of six or more people. 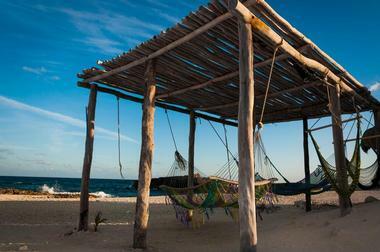 If you're looking for a unique way to explore the island, Cozumel Bar Hop is a great way to make new friends and to visit the beautiful undeveloped east side of the island. 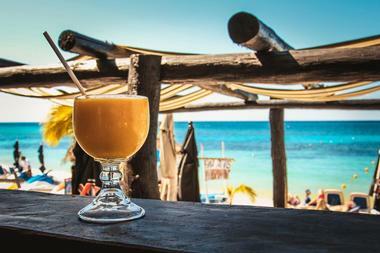 The tour will bring you to four unique beach bars, each of which will give you a free welcome shot and a taste of a freshly-prepared local Caribbean dish. The bus is comfortable and air-conditioned, the guides are fluent in both English and Spanish, and all of the bus drivers are fully licensed and have plenty of experience navigating the roads of Cozumel. 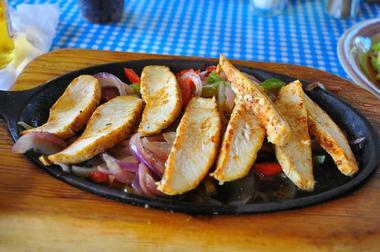 Mexican cuisine is known for its explosive flavors and beautiful colors, and Cozumel Chef Food Tours gives you the chance to sample some of the best food Mexico has to offer. The intimate, all-inclusive tour will bring you to a traditional Mexican market, a bakery, an intimate Yucatecán restaurant, and several other stops where you will get to try things like authentic quesadillas and aqua Jamaica. Tours typically begin at 11 a.m. and last approximately three hours, but private, customized tours are also available during the summer months and can be arranged to fit your schedule. The waters around Cozumel are full of beautiful marine life, and Cozumel H20 is a SCUBA diving company run by people with a true passion for what they do. The company offers tours for every experience level, including a Discover Scuba tour suitable for almost everyone over the age of 10. If you want some memories to look back on, an experienced photographer is available to capture every aspect of your beautiful underwater experience. A wide range of PADI dive certifications are also attainable; the experienced instructors can help you with everything from getting your first dive certification to becoming a dive master. Taking up part of the secluded north side of the island, Cozumel Pearl Farm is a family-run pearl farm located on a pristine white sand beach. The pearls are grown and harvested using knowledge from the South Pacific, and experts will be on-site to explain the process and answer your questions. After touring the lab, you will have the opportunity to snorkel out to see the pearl hatchery. Tours last approximately six hours and take place Monday through Saturday at 9 a.m., 10 a.m., and 11 a.m., but afternoon tours are sometimes offered when there are late cruise ship arrivals. 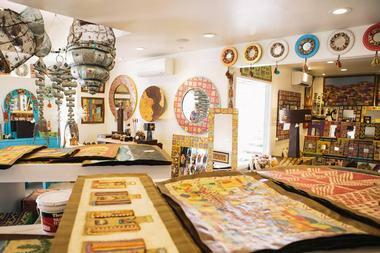 Located on the east coast of the island not far from Albertos Beach, Arte de Origen is a unique shop that sells handmade Latin American art inspired by traditional Mexican designs. Small, handcut pieces of papers are carefully combined and covered with varnish to create each piece, whether it be a colorful tapestry, a photo frame, a small animal sculpture, or a beautiful decorative box. Artisans from Mexico and Argentina make all the pieces of artwork, and every purchase ensures that these talented people get to keep a job doing what they love. Opened in 2015, Cha'an Ka'an Planetarium is the first 3D full-dome planetarium in Latin America. Visitors will have the opportunity to take celestial journeys in real time, which they can interact with using a motion sensing system called Kinect. There are also several other spaces in addition to the planetarium, including the Mayan Room, a Nature Interpretation Center, and two Learning Rooms. 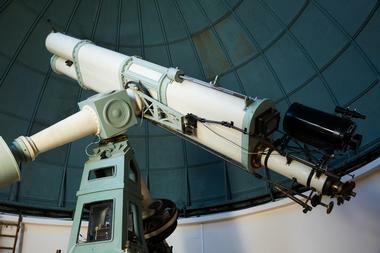 Daytime observation of the sky is possible during the afternoons every day of the week except for Sunday, and nighttime observation is offered Thursday, Friday, and Saturday between 8:30 p.m. and 10:30 p.m. 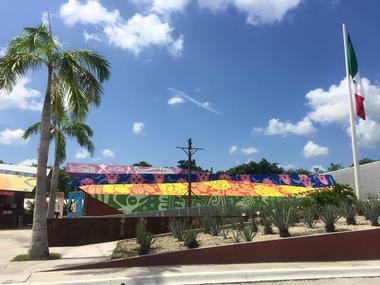 Proudly Mexican owned and operated, Discover Mexico Cozumel Park is dedicated to introducing visitors to the rich cultural world of Mexico. 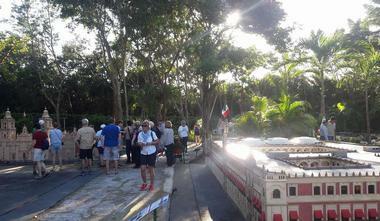 The park's main attraction is the dioramic garden that is home to reproductions of some of Mexico's most iconic landmarks, but visitors can also enjoy the Papantla flyers show, the gift shop that sells local handicrafts, the restaurant, and the margarita center. 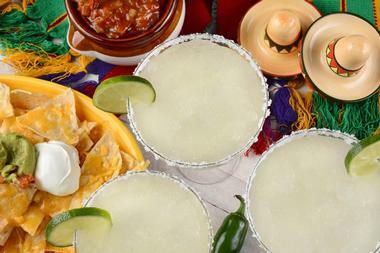 Foodies will love the José Cuervo tequila seminar, the Kaokao chocolate workshop, and the taco buffet, while the handicrafts workshop and the museum of popular arts are great for anyone interested in local culture. 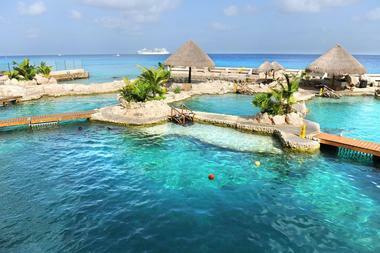 With its serene ocean coves and tropical atmosphere, Dolphinaris Cozumel is a great place to swim with dolphins and interact with them in a truly magical way. Conveniently located right in downtown Cozumel, the company offers 40-minute dolphin interactions as well as unlimited food and drinks after your swim. Snorkeling, kayaking, and paddle boarding are available for an additional fee. The activity is not suitable for pregnant women or for children under the age of three, and guests are kindly asked to refrain from using sunscreen and other skin products for the safety of the animals. 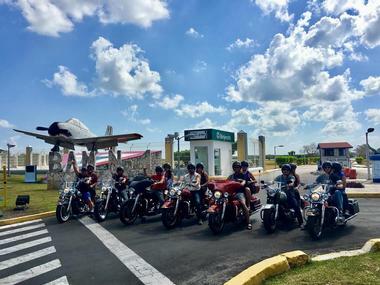 One of the best ways to explore the many beautiful spots on Cozumel is by motorcycle, and EagleRider Cozumel has a wide selection of Harley-Davidson motorcycles that you can rent to get around the island. Bikes can be rented by the day, by the week, or even by the weekend, and the company also offers guided day tours of the island. A locked storage space is available for you to put your suitcases in while you're on the road, and they will also pick you up from any hotel within a seven-mile radius of their shop. A natural lookout point where the sea has carved a natural arch into the rugged rock, El Mirador is one of the most visually stunning spots on the island. Visitors can climb up onto the rock to take photos and to get excellent views of the island and the water towards Cuba, which is located only 60 miles away. On the adjoining beach, you will find plenty of vendors selling snacks, refreshing coconuts, alcoholic beverages, and local souvenirs. 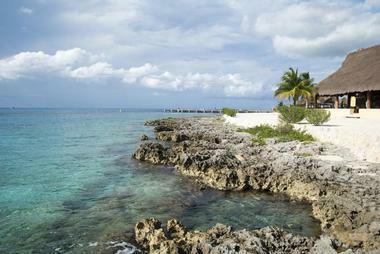 El Mirador is located approximately half an hour away from downtown Cozumel, and there is no charge for admission. 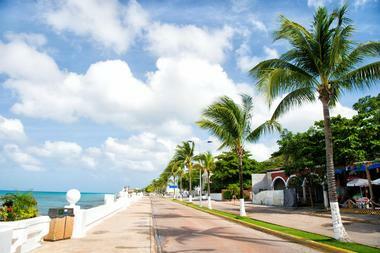 Also known as Punta Sur, Faro Celerain Ecological Reserve is located on the southern tip of the island. The reserve is home to the Columbia Lagoon where many crocodiles live. 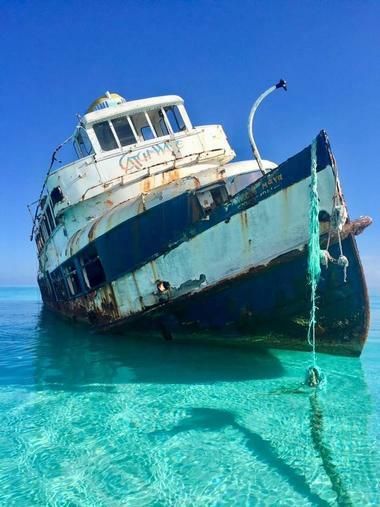 As such, swimming here is not permitted, but boat tours are sometimes available. A reggae beach bar and sea turtle nesting area can be found at the entrance to the reserve, as can several beautiful beaches. 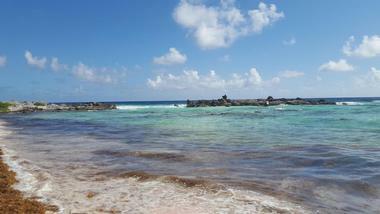 Visitors are allowed to swim and snorkel here, but the winds and currents can be quite strong and caution is advised. The reserve is open from 9 a.m. until 6 p.m. daily, and all visitors must pay an admission fee. 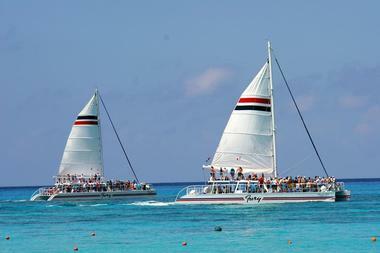 Whether you're staying on Cozumel or passing through on a cruise ship, Fury Catamarans is a great way to spend the day out on the water. The company's 65-foot catamarans will take you to two beautiful reefs where you can hop in the water to snorkel alongside the colorful marine life. There's plenty to do on the boat as well; each catamaran boasts a sundeck, an onboard bar, freshwater showers, and a lounge area with tables and chairs. After you've finished snorkeling, the boat will take you to Fury's private beach, where you can kayak, swim, or relax in a hammock. 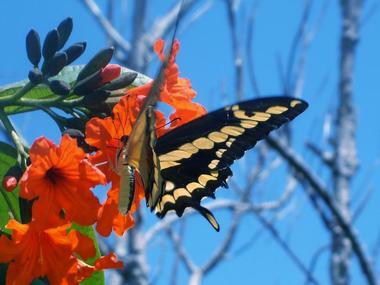 Operating since 2006, the Patas & Alas Butterfly Sanctuary is dedicated to preserving and showcasing the beautiful indigenous butterflies of Cozumel. Visitors to the sanctuary will be able to wander through the lush gardens and marvel at the gorgeous butterflies as they fly around, feed, and rest in their natural habitat. The center is actively involved in the documentation of the islands butterfly species, so visitors will have the chance to learn about the different species in the sanctuary, their habits, and the miraculous process of metamorphosis. There is a small admission fee, and credit cards are not accepted. 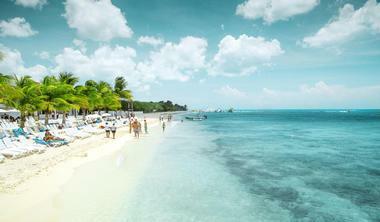 With its calm, clear waters, Playa Chen Rio is widely considered one of the most beautiful beaches on Cozumel. The beach overlooks a picturesque bay and boasts stunning rock formations that visitors can climb up on to get excellent views of the water. The rocks also ensure that the water is usually quite calm, which makes the beach an excellent destination for anyone interested in swimming, snorkeling, or engaging in other aquatic activities. Mobile vendors, snack concessions, and beverage stands can be found here, but visitors should be aware that there are no public restrooms available. Conveniently located only 20 minutes away from the cruise ship docks, Playa Palancar is one of the only beaches on the island with no admission charge. 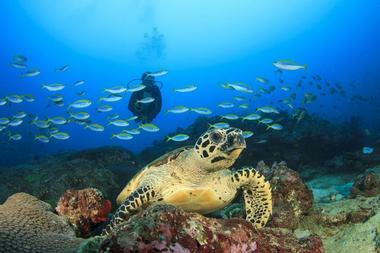 Visitors can snorkel right off the shore, where they might see fish, lobsters, and turtles, but guides are available for anyone who wants to go farther offshore and snorkel the reef. 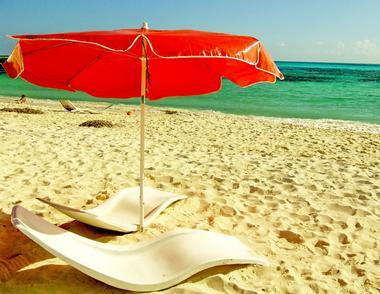 There are some lounge chairs with umbrellas on the beach that are perfect for relaxing, and other beach amenities include changing rooms, restrooms, a shower, several souvenir shops, massage services, and a restaurant that sells food and alcoholic beverages. Safe Tours Cozumel is a family owned and operated business, and they invite visitors to come be a part of their family and explore all the island has to offer in a safe and fun way. The company offers tours on both the land and the water; some of the most popular are the Jeep adventure tour, the trip to see the Mayan ruins of Tulum, and the lobster dinner cruise. If you want to explore the beauty of the reefs around the island, Safe Tours is also happy to arrange a snorkeling, SCUBA diving, or glass bottom boat tour. The ancient Mayan culture holds a special fascination, and the San Gervasio Mayan Archaeological Site is especially interesting as it was a requirement for Mayan women to visit this site at least once during their lives. 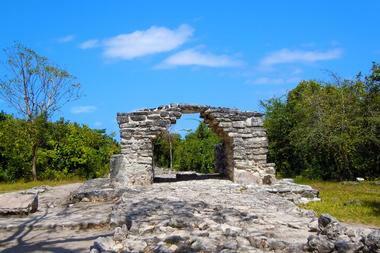 The only official archeological site on the island, it is known as a sanctuary to the ancient goddess Ixchel, who the Mayans prayed to for fertility and love. The site is open every day of the week between 8 a.m. and 3:45 p.m., and there is a small admission fee. Facilities include restrooms, a snack bar, free parking, and handicrafts and other souvenirs for sale. 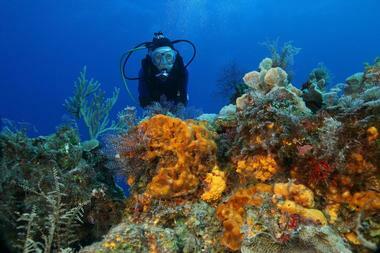 Founded by a former Los Angeles police officer, ScubaTony Cozumel is consistently rated as one of the top dive companies in Cozumel. The company offers everything from one-time fun dives to full PADI certifications, and they happily invite customers to request their preferred dive locations. Morning and afternoon trips take place each day, and twilight and night trips are offered as well. Two-tank dives are the standard, but night dives are typically one-tank. A maximum of six people are permitted on each trip, and high-quality rental gear is available for anyone who needs it. The waters around Cozumel are full of friendly marine life, but Stingray Beach offers the only chance to see and interact with stingrays. The most popular option is the Encounter & Snorkeling tour, which allows guests to handle and feed the rays before jumping into the water to join them for a swim. 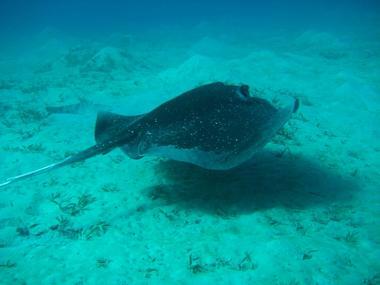 A SCUBA diving tour is also available; visitors will have a chance to get comfortable in the SCUBA equipment before spending time in the water, and at the end of the tour, they will be given the chance to meet the stingrays without wearing the SCUBA gear. Owned by Aviomar Adventours, one of the largest tour operators in Mexico, the Mayan Cacao Company is a place where you can discover the true origins of chocolate. 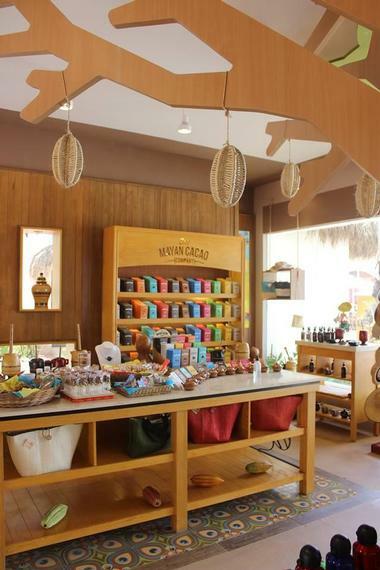 After arriving at the beautiful center, which is conveniently located right next to the Playa Mia beach, visitors will listen to an informative lecture on the history of chocolate and how this tasty treat is made. Plenty of samples will be available as well, including pure chocolate like the ancient Mayans would have it and unique modern creations studded with chili, lime, honey, and other natural flavorings.